My birthday was a few weeks ago and to celebrate, the southern beau and I had dinner at Knoxville's Knox Mason. It's kind of sad that this was my first time dining at Knox Mason, even though I'd been wanting to eat there for what feels like forever. 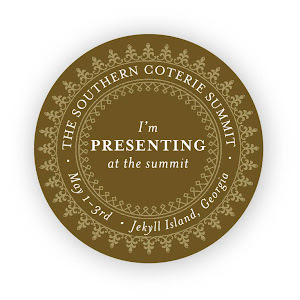 Much like the tagline for my blog, Knox Mason is "utterly southern, and elaborately simple." And I mean that as a compliment. The food was delicious. 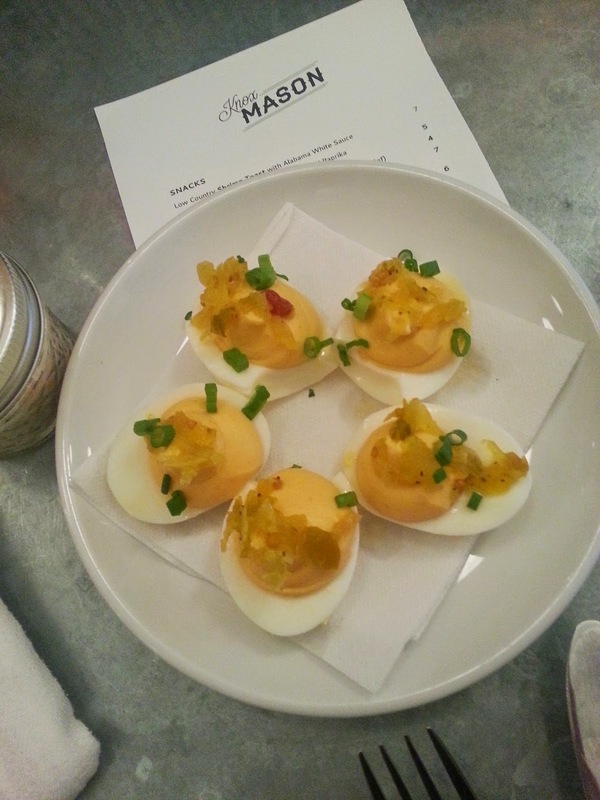 We began by enjoying deviled eggs, which were made with rooster sauce and Tennessee chow chow. The deviled eggs were creamy and rich...but somehow I missed that little sprinkling of paprika that usually accompanies them. Call me a deviled egg purist. 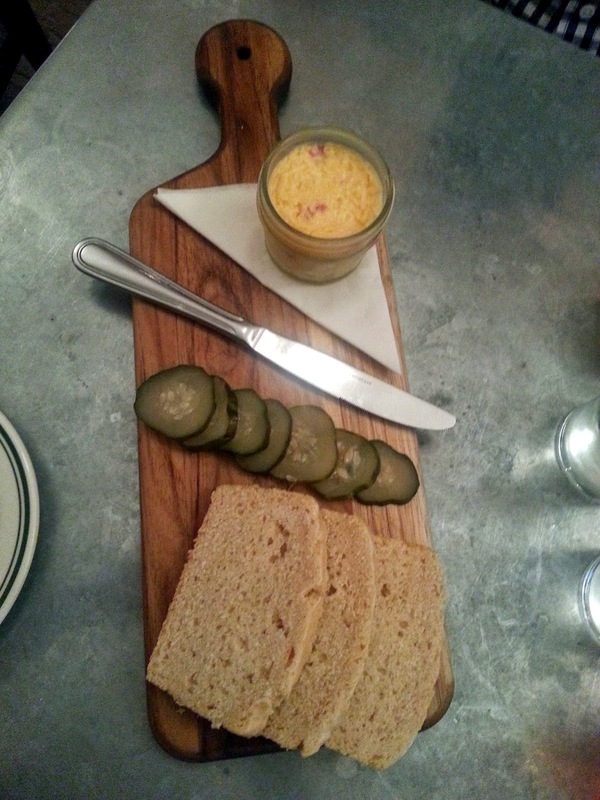 Next, we tried the pimento cheese, which is made with Sweetwater Cheese and served with Saw Works beer bread and Wickles pickles. Again, delicious. Although I have to admit I didn't think it was quite as good as my homemade pimento cheese, which I'd swear on the witness stand is the best pimento cheese I've ever had. Hear that Chef Matt Gallaher? The pimento cheese gauntlet has been thrown. For the main course, we decided to try two different salads...have I mentioned how much my beau loves to sit patiently looking at the food while I try to get the best possible photo? [sarcasm. but he is a good sport]. I got the beet salad, which was divine. If you aren't careful, you can really mess up beets by overcooking them. In fact, for most salads I make with beets, I prefer them raw for that crunchy texture. 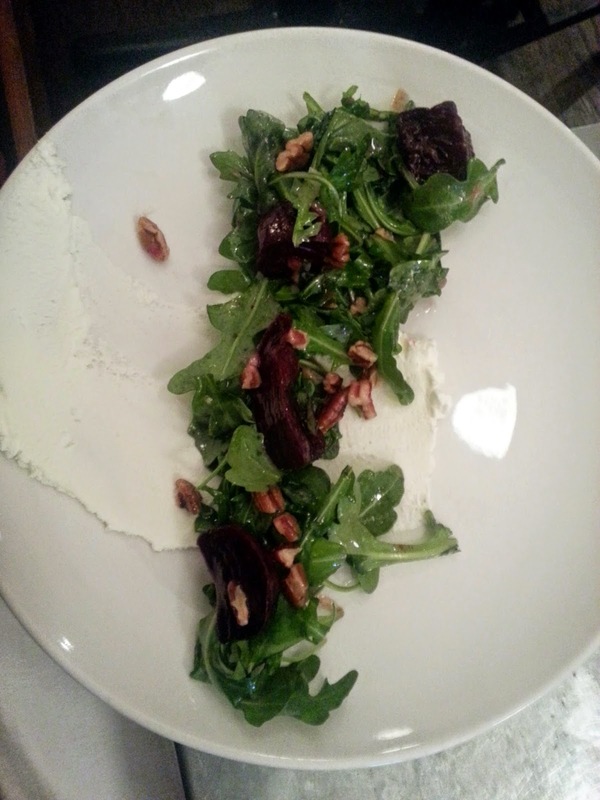 But the Knox Mason beet salad was great. That little swath of goat cheese smashed across the plate looks like a happy accident, but I suppose in fancy culinary circles this is the style du jour. Whatever, it was delicious. 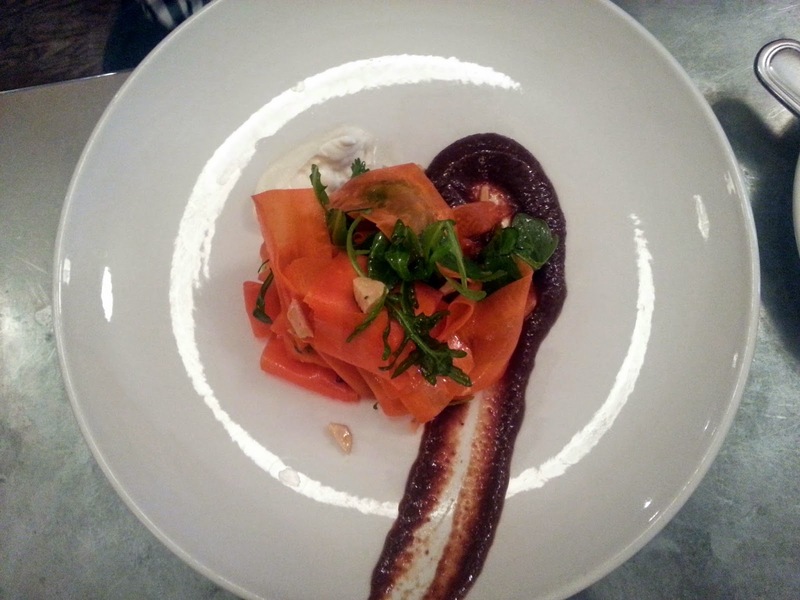 My beau got the carrot salad with arugula, almonds and creme fraiche, which was also very tasty. He seemed to enjoy it quite a bit. 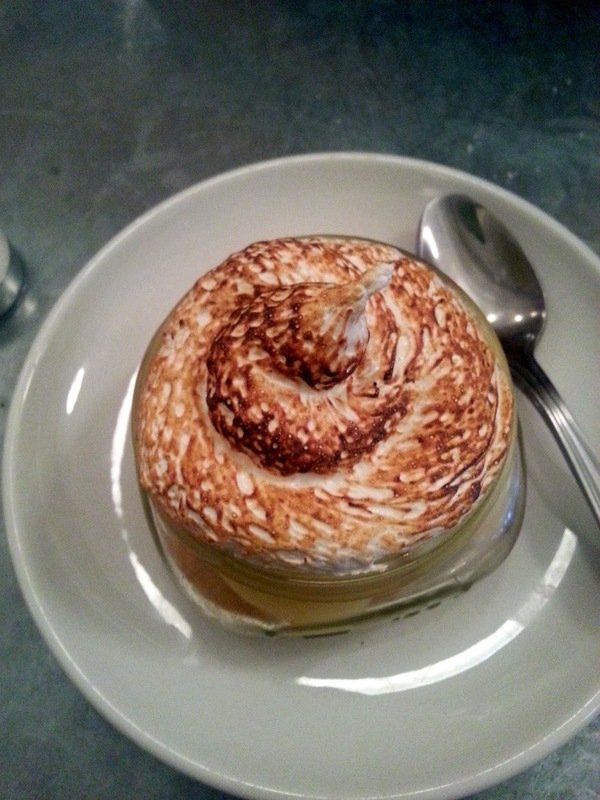 For dessert, we tried the banana pudding, served in a mason jar with the most perfectly toasted marshmallow topping. Too cute! 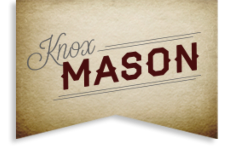 Have you been to Knox Mason? 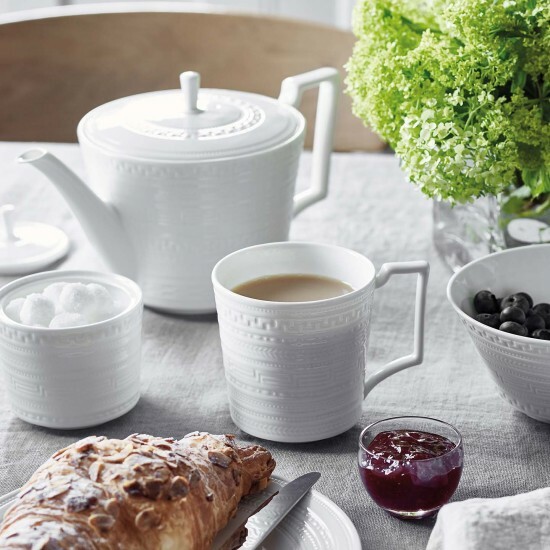 What delicacies did you enjoy? Since I'm not a meat eater, it eliminated some things as options, but I had a great time. 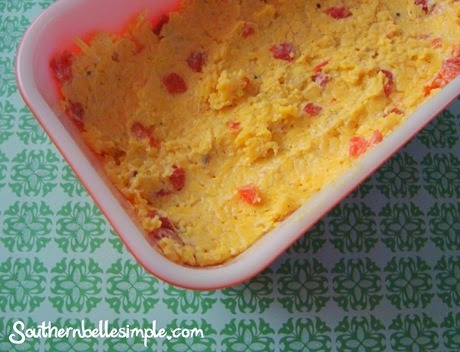 Want a side-by-side taste test comparison of Knox Mason pimento cheese vs. Southern Belle Simple pimento cheese? Here's my recipe.